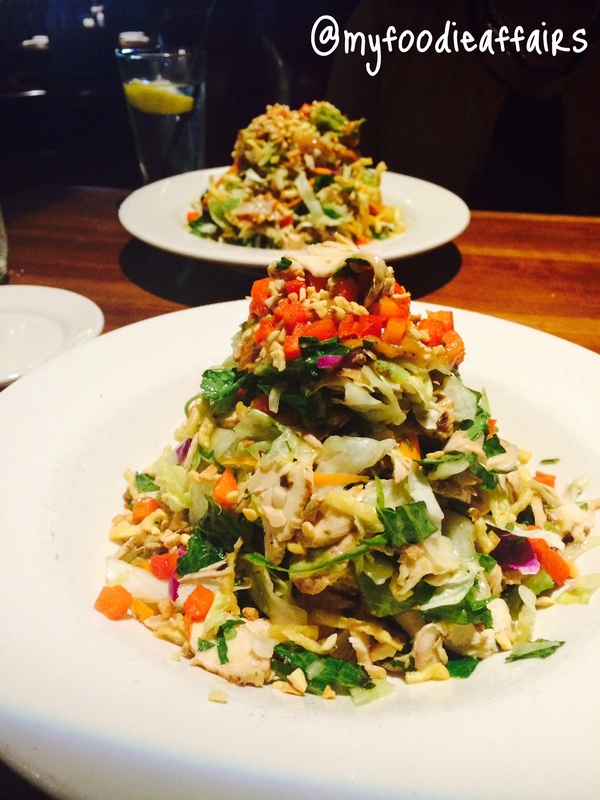 Behold, the Thai Kai Salad from J. Alexander’s. This dish consists of chicken, mixed greens, and peanuts tossed in a cilantro vinaigrette with Thai peanut sauce. I learned of this dish after seeing a fellow foodie/blogger buddy post a pic of this meal on their social media page. This light, but filling salad has a permanent place on my “mental list” of restaurant faves! Thanks for the lunch inspiration, Nadine! The waitress said she orders it everyday for lunch. This looks absolutely amazing!!! I think I saw Nadine post this salad. I can’t wait to try it!!! Yes, she did! She was actually my inspiration behind wanting to try it. It was delish!